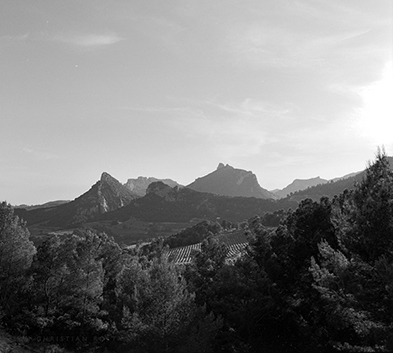 Situated at the feet of majestic « Dentelles de Montmirail » the picturesque village of Vacqueyras is a favored place where the various meridional vines, Syrah, Mourvedre, Cinsault, white Grenache and Clairette grow. 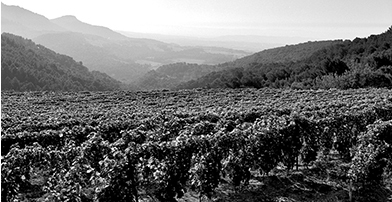 The wines were given the rank of “Cru” of the Cotes du Rhone wine s thanks to the impetus of quality development in the vines since the XV century. A poor argillaceous, limestone soil mixed with round stones. mediterranean climate suited to the optimal maturity of grapes. Limited yield (35 hl/ha) which allows the making of concentrated aromatics and strong wines. We are established at the heart of these exceptional lands since 1717.For almost 3 centuries we have been making and maturing wines in our caves which are dug into the old walls of the town. We continue to work in the great tradition of our ancestors.